Chicago Fashion at its Finest! Fashion Focus Chicago, a week-long celebration of Chicago's thriving fashion industry, returns for a seventh year in 2011. Taking place on Monday, October 17 through Sunday, October 23, 2011 Fashion Focus Chicago showcases some of the city's top designers, and features runway shows in Millennium Park and various locations around the city, plus a variety of free and affordable shopping events and industry happenings. The week's activities are coordinated and directed by the Chicago Office of Tourism and Culture. 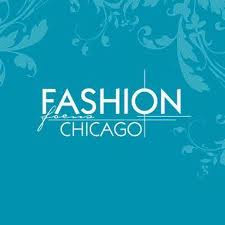 The Chicago Office of Tourism and Culture invites the local fashion community to plan events that highlight Chicago's fashion talent during Fashion Focus Chicago. Last year, over 20 related fashion events took place during the weeklong celebration drawing over 25,000 attendees. This year the Chicago Office of Tourism and Culture is hoping for a calendar filled with a variety of events that attract new audiences. The Chicago Office of Tourism and Culture kindly requests logo inclusion and boilerplate language be included in all official Fashion Focus Chicago event promotional materials. The Chicago Office of Tourism and Culture invites local designers, independent retailers and industry partners to submit details (download writeable PDF below) to info@chicagofashionresource.com by Friday, August 26 for consideration for inclusion in official Fashion Focus Chicago printed material (events submitted past this deadline and received through Friday, September 23 will be included in public relations efforts and listed online). For more information about this event, including how you can get involved, please contact Kiran Advani, Fashion Programming Director, at 312-742-4983 or at kiran.advani@explorechicago.org.